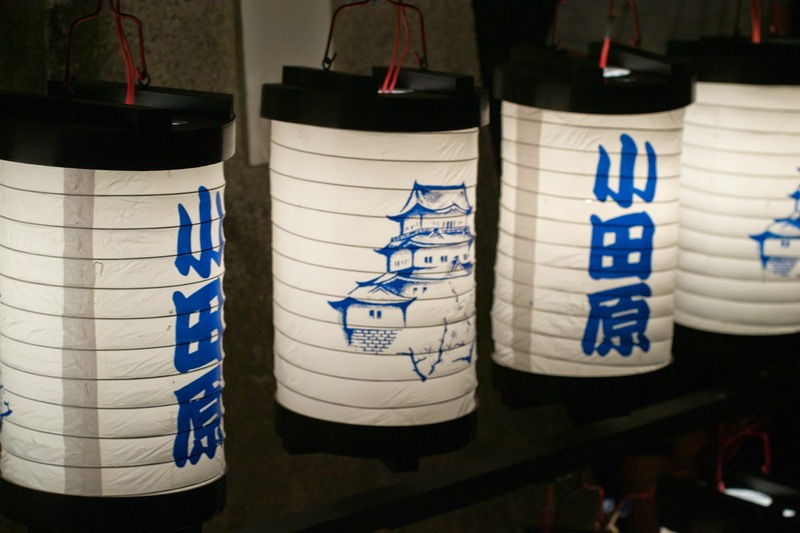 Summer in Japan means lots and lots of festivals (matsuri)! 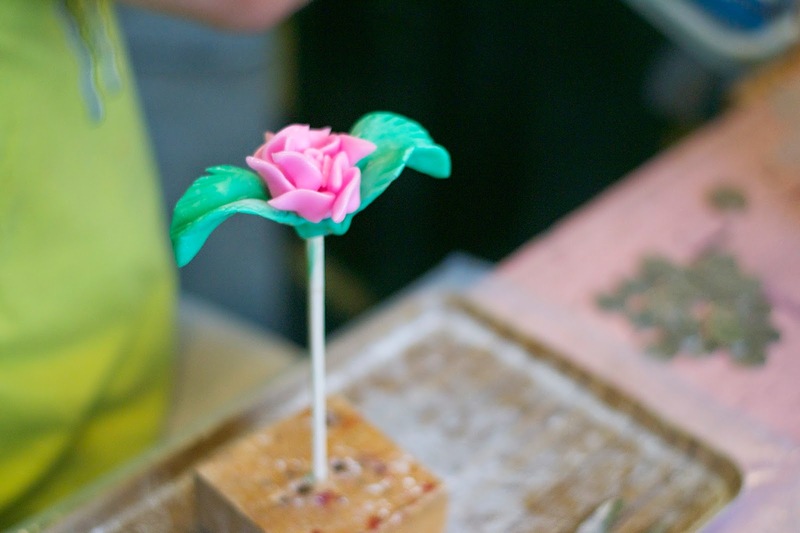 Japanese festivals are so much fun. I went to the big one in my city a few months ago but there was another one at the local castle. It was the same day that I got back from Gunma and although I was exhausted from traveling that weekend, I couldn't pass up the opportunity to spend a few hours at a festival. 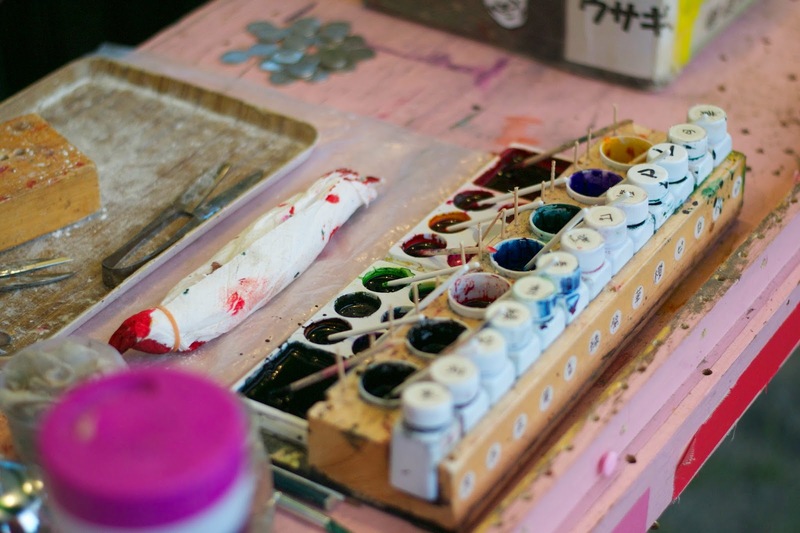 One of the big events at a festival is the carrying of the mikoshi (神輿) shrines. 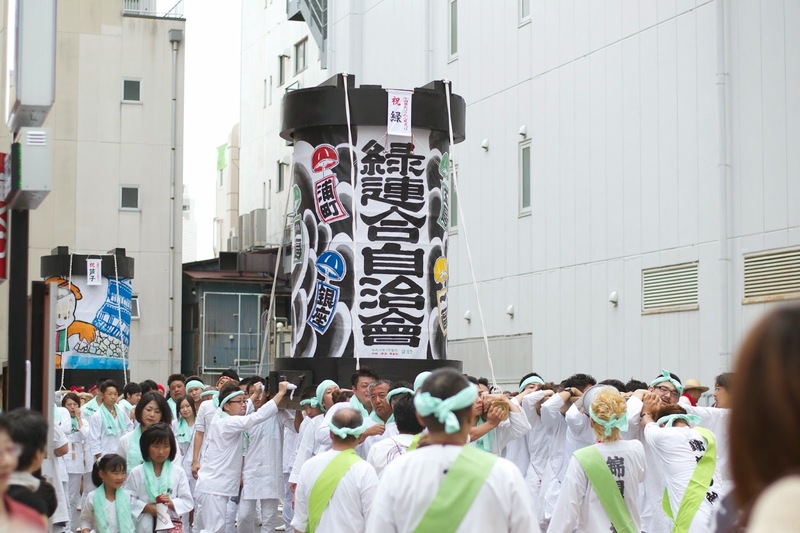 This Shinto tradition involves carrying portable shrines (mikoshi) which are said to be the home of a spirit. The people carrying the shrines are often chanting or singing. 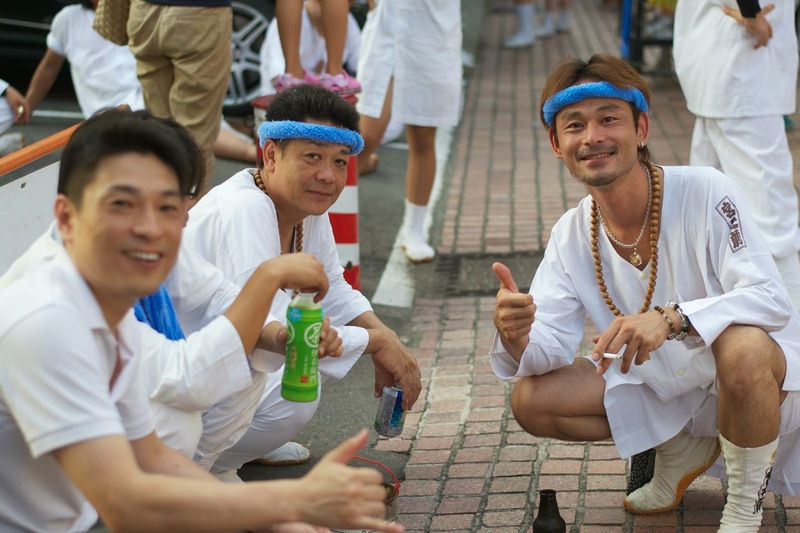 I love the way the mikoshi look. Some of them are rather extravagant. 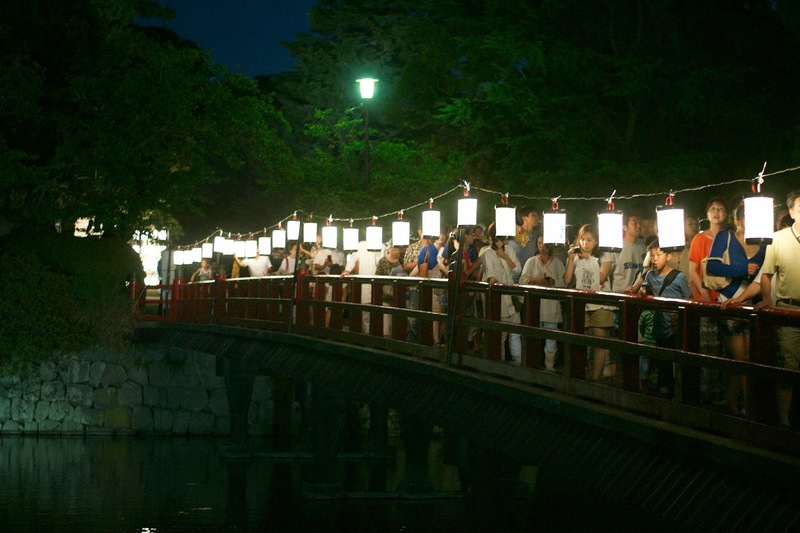 At this festival, a lantern festival, there were mikoshi that looked like giant paper lanterns. 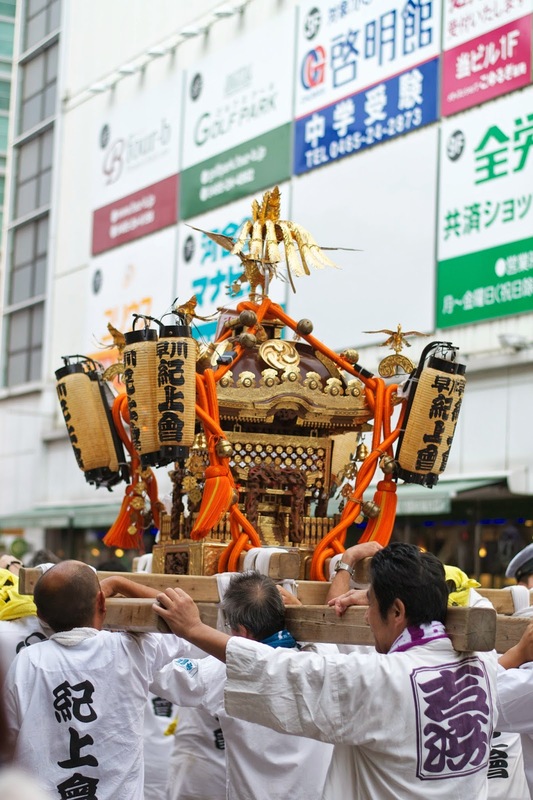 Maybe they weren't really mikoshi and were just built in the style of one... I'm not sure. A man I stood near tried to explain it to me and he made it seem like those were just for fun for this particular festival. 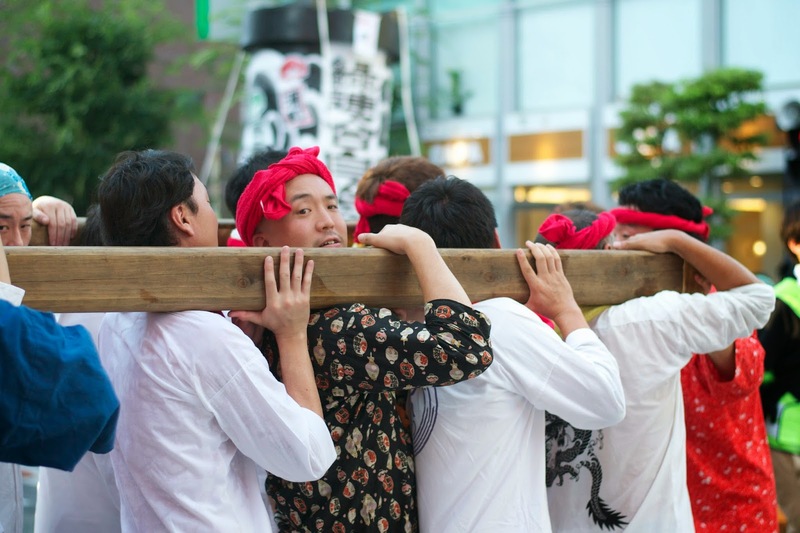 At this festival, I actually saw some foreigners help carry one of the shrines. I don't see many foreigners where I live besides the people I already know so it was surprising to see that. Usually they're carried by people of a variety of ages. Sometimes young kids tag along and walk next to the shrines and chant along with whoever is carrying them. As I read on the ever trustworthy Wikipedia, my city, Odawara, has a unique way of carrying the mikoshi. "This is a peculiar way of shouldering in which multiple mikoshis meet and run (Holy Dash). The shout is 'oisah;korasah/koryasah.' 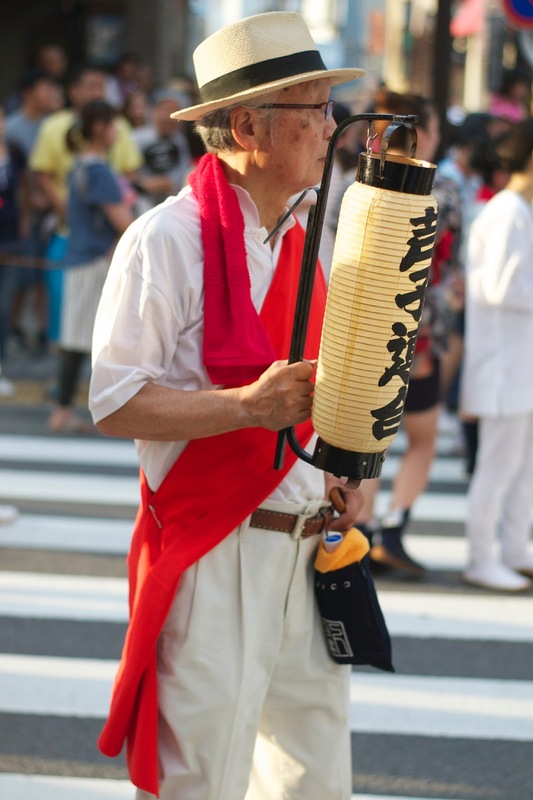 and there is a song called a 'Kiyari | 'log-carriers(fisherman's) chant' The bearers do not sway the mikoshi. 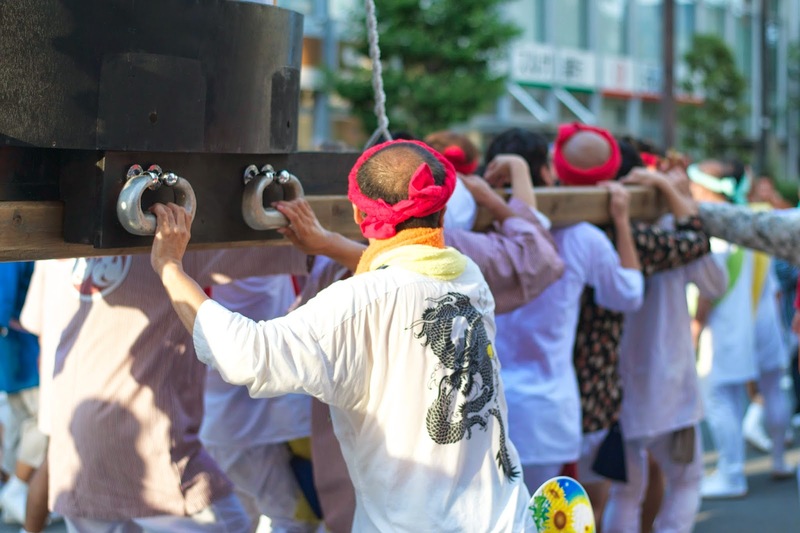 In this 'united' style, the mikoshi uses the full width of the road, moving from side to side and turning corners at full speed." I can't say how it specifically differs from everywhere else in Japan because I haven't seen it done outside of my city. I took some video clips of it this time and compiled them into the video below so you can see what it's like. I chose not to edit out the part near the end where the group is standing around chanting slowly and getting set up because I think it's interesting to watch what they do before they actually move the shrine. By the way, if you haven't already subscribed to my Youtube account, you totally should because I plan to use it a lot more! I arrived when the mikoshi parade had started so I decided to head to the main festival area afterward. All the food stands and vendors were in the park area around the castle. 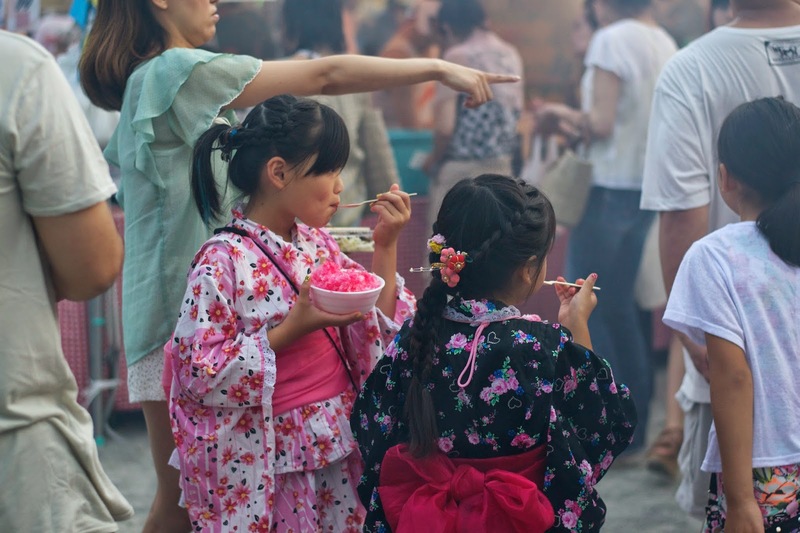 Some popular festival foods include yakisoba and kakigori (shaved ice) but there are an endless amount of things to choose from. I actually got a kakigori that was shaved ice and frozen strawberries with condensed milk topping. It was so good but I didn't get a nice photo of it. 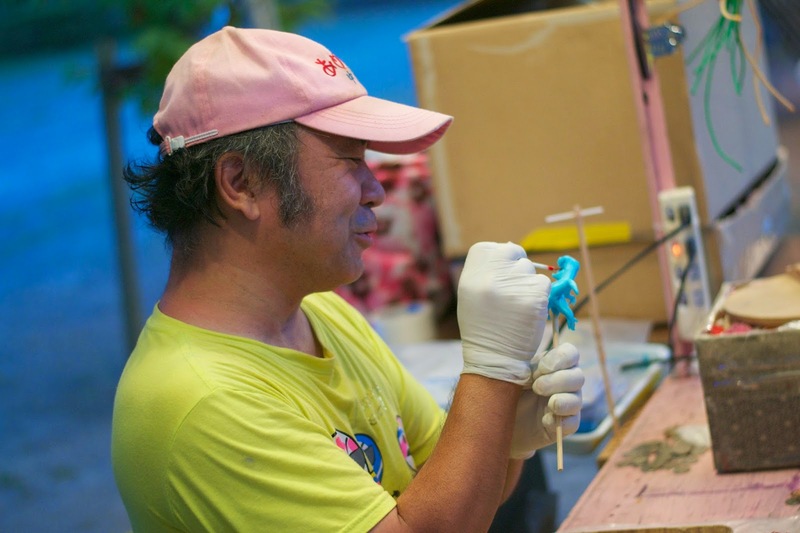 I walked around some more and found this man who was making candy shaped like various animals. He was very nice and spoke English pretty well too. 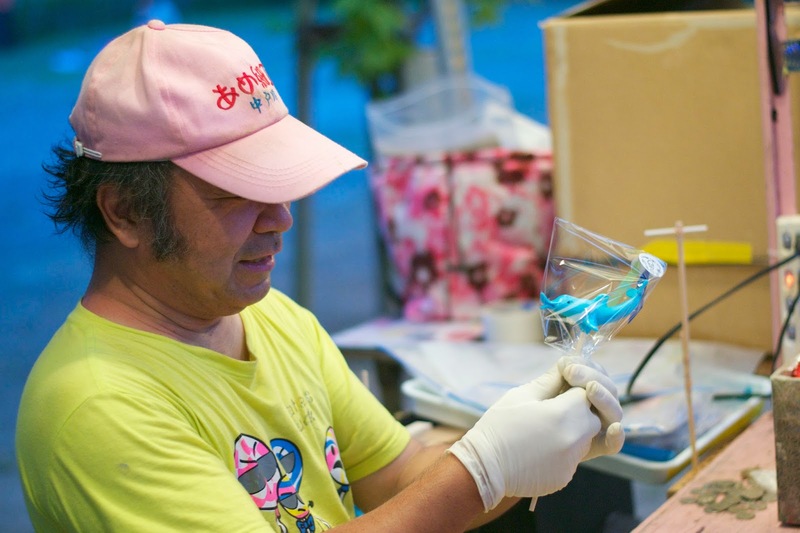 He told me that he works for the company Moog that makes synthesizers but does this candy making as a hobby and that only a few people in all of Japan know how to do this! 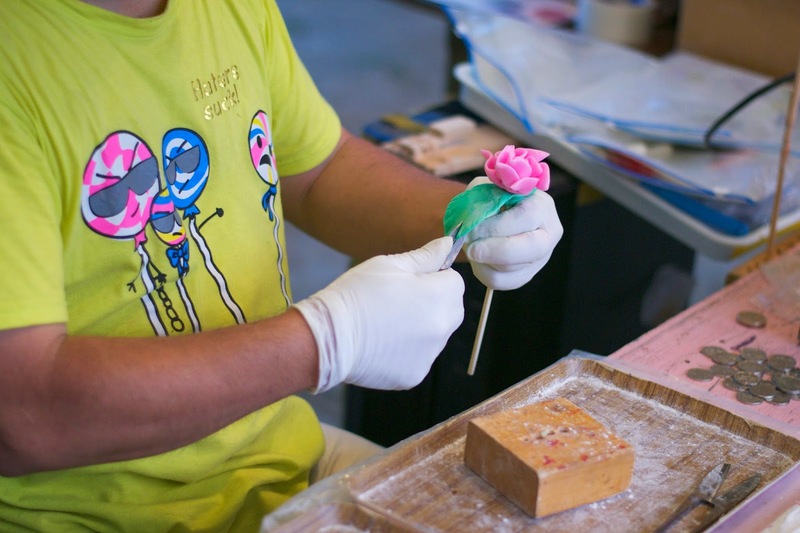 He was so nice that he made me a rose-shaped candy for free! He just decided to make that one without asking me but Rose is actually my middle name so that was kind of cute. I tried to be careful with it but one of the leaves actually broke a little bit so that was sad. I hope I can see him again at another local festival. Maybe I'll ask him to make me a dolphin next time. The castle area looked so pretty at night, especially with all the lanterns. It's hard to photograph that kind of thing but I tried anyway. I hope that I can go to another festival before the summer is over. 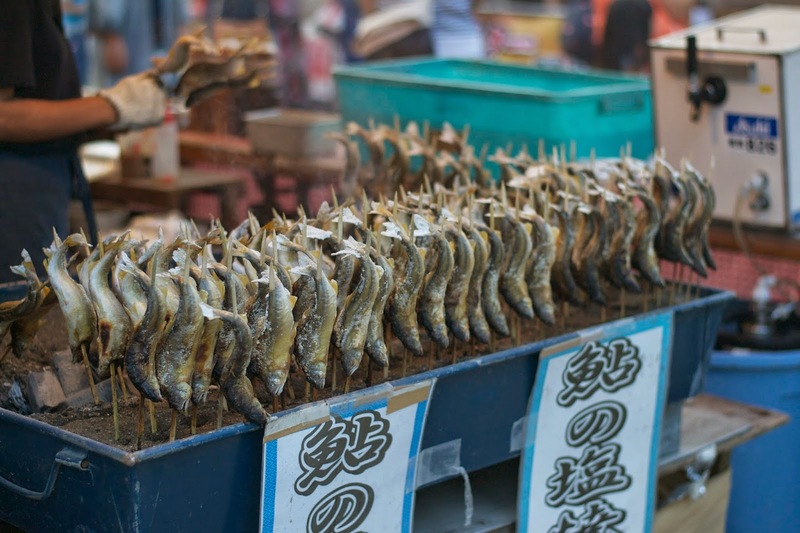 I think there are some festivals year round but it seems that they're more popular as a summer activity. I want to see the Snow Festival in Sapporo but it's so far from me so I don't think it will happen for me this year. 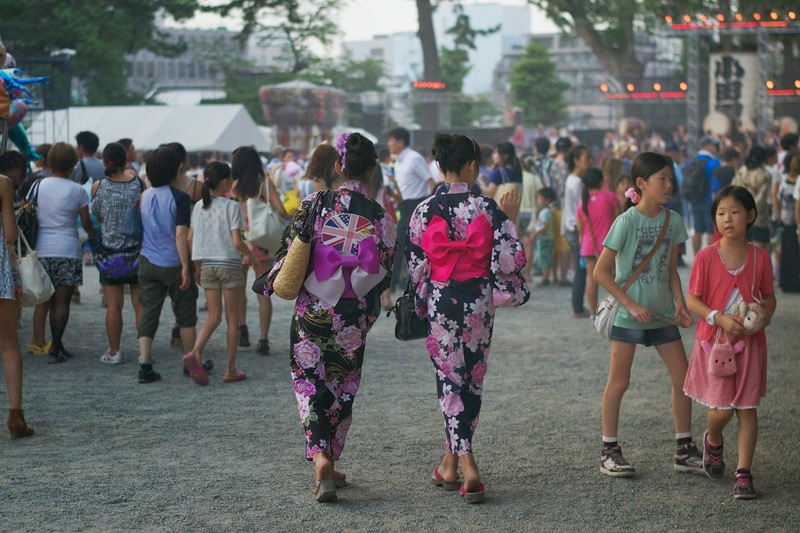 Have you ever been to a Japanese festival? Are there any you've heard about that you would like to go to?